There are several types of trusts to assist with these special planning challenges. The most common types are Support Trusts and Special Needs Trusts. Support Trusts: Support Trusts require the Trustee to make distributions for the child’s support in areas like food, shelter, clothing, medical care, and educational services. Beneficiaries of Support Trusts are not eligible to receive financial assistance through Supplemental Security Income (SSI) or Medicaid. If your child will require SSI or Medicaid, you should avoid a Support Trust. Special Needs Trusts: For many parents, a Special Needs Trust is the most effective way to help their child with a disability. A Special Needs Trust manages resources while also maintaining the child’s eligibility for public assistance benefits. Third-Party Special Needs Trust: Created using the assets of the parent(s) as part of an estate plan; distributed by a Will or Living Trust. Self-Settled Special Needs Trust: Generally created by a parent, grandparent or legal guardian using the child’s assets to fund the Trust (e.g., when the child receives a settlement from a personal injury lawsuit and will require lifelong care). If assets remain in the Trust after the child’s death, a payback to the state is required, but only to the extent the child receives public assistance benefits. Special Needs Trusts are a critical component of your estate planning if you have loved ones with disabilities for whom you wish to provide after your passing. Generally, Special Needs Trusts are either stand-alone trusts funded with separate assets (like life insurance) or they can be sub-trusts in existing living trusts. Planning for your loved one with special needs requires extensive research to become a well-educated advocate. You will want to keep up-to-date on the latest medical, educational, financial, and legal changes. Hougum Law Firm, LLC provides assistance to you and your family in addressing your unique concerns. We hope this Special Needs Resource Center provides you with a quick reference to find the additional resources you may need. 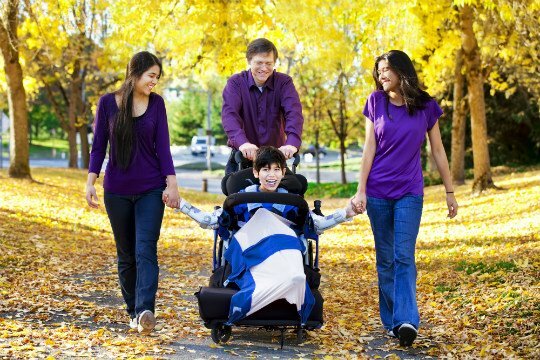 Exceptional Parent online: Online resource for the special needs community, including families, caregivers, physicians, allied health care professionals, and teachers. The Arc: The Arc is a national organization of and for people with mental disabilities and related developmental disabilities and their families. The Arc works to promote and improve support and services for people with mental disabilities and their families and also fosters research into and education about the prevention of these disabilities in infants and young children. National Academy of Elder Law Attorneys: The National Academy of Elder Law Attorneys is a non-profit association that assists lawyers, bar organizations and others who work with older clients and their families. The Academy provides information, education, networking and assistance to those who deal with the many specialized issues involved with legal services to the elderly and people with special needs. National Alliance on Mental Illness: The National Alliance on Mental Illness (NAMI) is dedicated to improving the lives of persons living with serious mental illness and their families. There are NAMI organizations in every state and in over 1,100 local communities across the country. Center for Parent Information and Resources: The Center for Parent Information and Resources (CPIR) serves as a central resource of information and products to the community of Parent Training Information (PTI) Centers and the Community Parent Resource Centers (CPRCs), so that they can focus their efforts on serving families of children with disabilities. Use this interactive map to find the PTI or CPRC that serves your State or territory. Annual Disability Statistics Compendium: This publication, the first Compendium, focuses on state-level statistics published by Federal agencies. These calculators can help you project the future expenses of an individual with special needs.